I am required to talk about football given that the Super Bowl is today and the Ravens are playing. Let me just admit that I don't follow the Ravens which isn't that big of a deal around here to say. There are many around here who say that. But those folks then follow it up with the fact that they are Redskins fans. Or maybe Steelers fans if their loyalty leans in a northwesterly direction. There have been many awkward conversations of late with me talking to purple-clad people where I feign excitement, interest and even a little bit of knowledge about the Ravens. I'm faking it all. I know very little about them. But I am happy for all of you purple-loving people. It's a big deal for your team to make it to today. I know that much. I do like the Super Bowl commercials. I'll be watching for those. And I look forward to seeing Ray Lewis' emotional display. (I know about that too.) So, to be nice and fit in around here....Go Ravens! Now that my obligatory football talk is complete, I need to bring forth a real issue. Martha Stewart has let me down. I have appreciated Martha's organizational, decorating, design and cooking prowess for as long as I have known her name. I am a fan but not a fanatic. 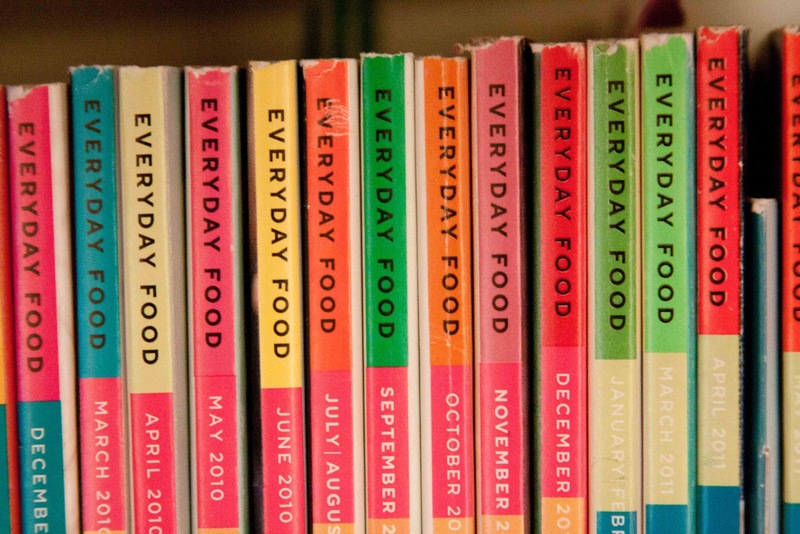 My favorite of her offerings has been the little magazine Everyday Food. I have subscribed to EDF since 2006. I like it so much, I have given EDF gift subscriptions to spread the love. I have saved every issue and refer back to the archive frequently. 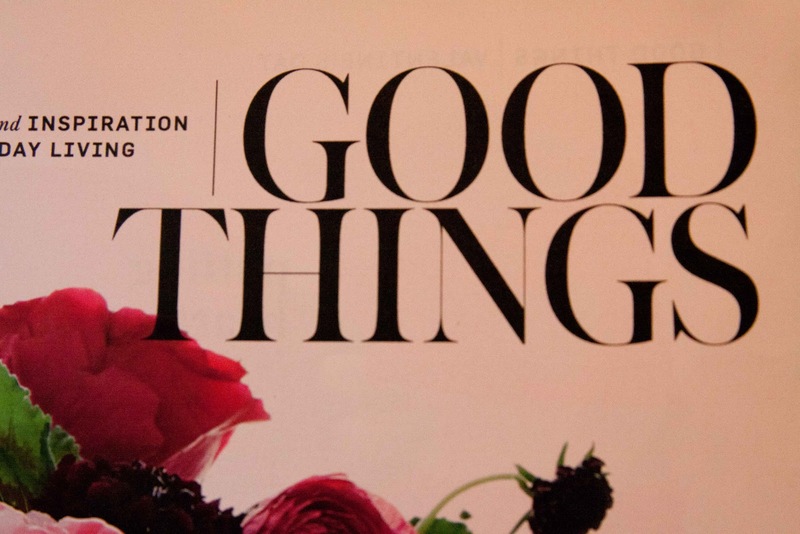 There is no other magazine that holds these claims for me. All other magazines are tossed in the recycling bin before the next month's issue arrives. 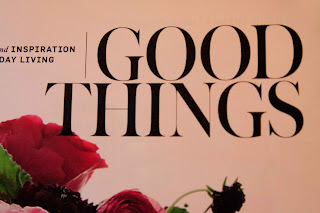 The only other mag I subscribe to is one with a real simple name...and it is a good magazine but I don't keep it around. If I need to recall something from a previous issue, I have the internet for that. I could possibly benefit from one of Martha's kitchen cabinet makeovers by the looks of the upper shelf, but this isn't about my kitchen organizational failings. This is about how Martha failed me. 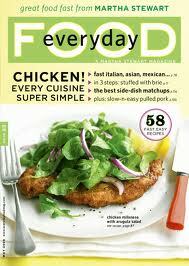 I keep EDF around because it is full of great recipes, not just one or two that look appealing like many other mags. Each issue holds several very usable, tasty recipes. I like recipes that make flavorful, filling dishes without an excessively long or hard to find list of ingredients. EDF's manageable, normal ingredients lists create easy, delicious meals and treats. I keep EDF around because of its size: 5.25 inches by 7.375 inches. It fits nicely on a cabinet shelf. I bet Martha, or her well-paid minions, spent untold hours and dollars determining the most gratifying dimensions for EDF. They wanted it to feel comfortable in your hands, not too unwieldy, not too floppy like a full sized magazine. They wanted it to be of the size that you didn't mind keeping; the smaller size doesn't take up excessive space like a 9 by 11 magazine would. 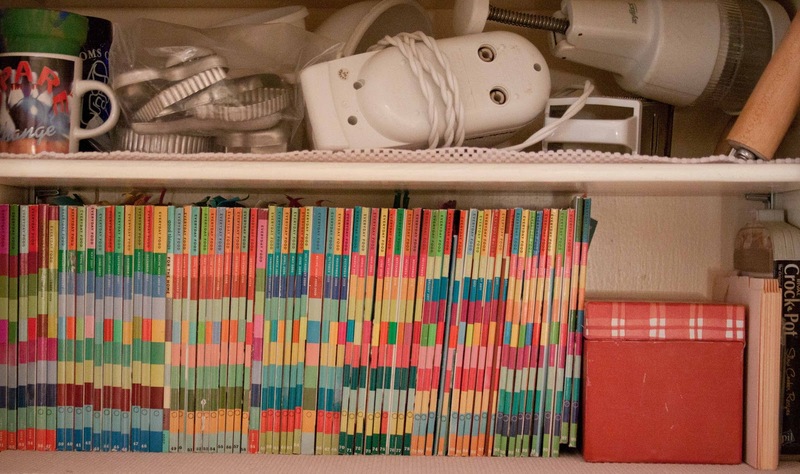 Who doesn't have a spare bit of shelf to keep six plus years of perfectly sized magazines? My copies are dog-eared, tabbed and well-loved. 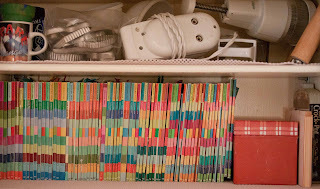 They give a bright, crazy quilt welcome when I open my cabinet to their rectangular rainbow palette. I love them. 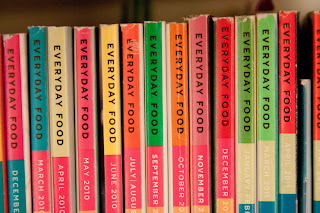 I use them, not every day but so often that I would call them my Almost Everyday Food or my Really Really Often Food magazines. This past fall I got a nice letter from Martha. She said that the December issue would be the last for EDF, due to some reasons...actually she didn't even give reasons. She just said she had decided to change the way EDF is distributed. It will now be a five times a year supplement to her Living magazine. For my loyalty, my EDF scubscription will be seamlessly transformed into a Living subscription. She said to watch my mailbox in January for my first Living issue and to wait patiently for my first EDF supplement in the March issue. To sweeten the pot, I was also invited to sign up and enjoy Everyday Food on YouTube. I've received two issues of Living (without the EDF supplement so that's still an unknown) and I am ready to judge. Admittedly, Living contains some really good Martha nuggets of wisdom, some good recipes and some nice decorating tips. But sandwiched between the good things I find the ridiculous, the first of which is Martha's Month. 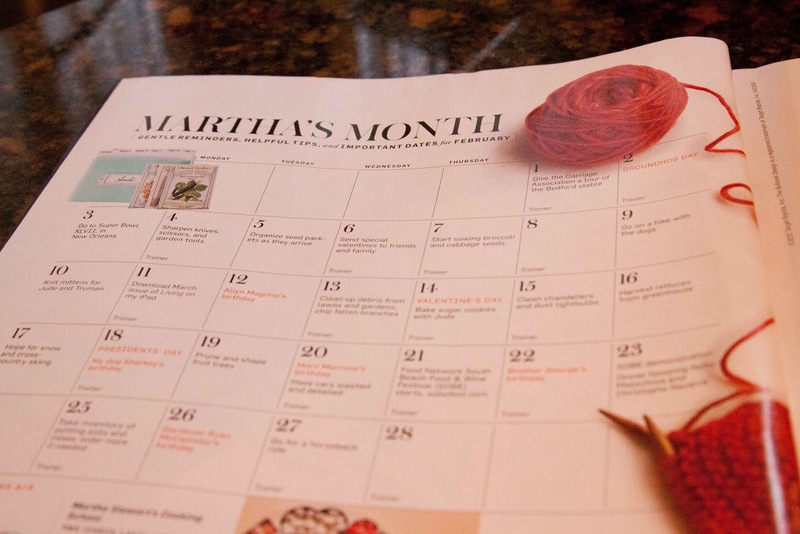 Martha's Month is a monthly inclusion in Living. Its header states that it includes gentle reminders, helpful hints and important dates for the month. 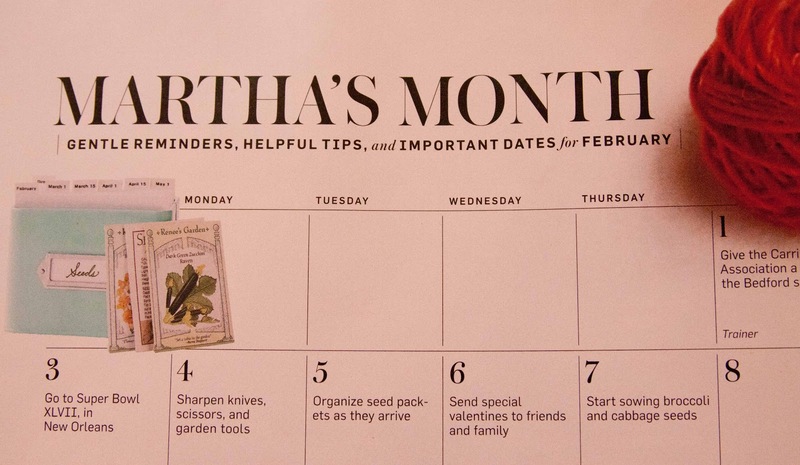 For two months, I have received no help from Martha's calendar unless you consider a good laugh helpful. 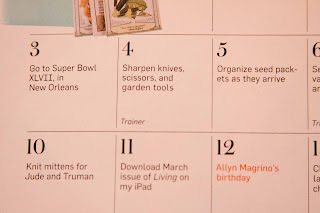 Here are a few examples of Martha's "helpful hints:"
Go to the Super Bowl XLVII in New Orleans. That's easy for most people to do. Thank you Martha for the gentle reminder. And I'll make sure to get home early enough on the 4th to sharpen my knives, scissors and garden tools too. You're the best. And thank you for the heads up on Allyn's birthday on the 12th. I will mark my own calendar on the 11th to look her/him up on the internet to find out who that is. Martha's Month of February includes many other essentials for living such as taking inventory of my potting soils (one rotten half bag in the garage - check) and spending the entire day of the 17th "hoping for snow". I originally (on my own, before I had Martha's guidance) had scheduled that for the 15th but now I see that the 17th is a much better day for hoping. Honestly, I don't know how I would survive the month without Martha's gentle prodding hand to move me through each day. And I thought my EDF magazine was useful. Who knew what I was missing? Maybe there are fifty or so women in the greater New York area who knew. Or possibly I am just too bourgeoisie to appreciate the living that Martha promotes. I am still awaiting my March EDF supplement in Living. Based on the usefulness of the January and February issues of Living, I am doubtful that the supplements will be as cherished as the full magazine was. But I'll be ready to judge again when I see it.